Houston is the fourth-largest city in the United States of America and enjoys the most diverse population since it hosts people from all over the world. It is a favorite for many because of the affordable housing available in that part of the state. In the last six years, the population has grown by almost 10 percent. The housing situation along with the low cost of living and job opportunities are the cause of this surge. The city of Houston is prone to extreme weather conditions like massive floods and hurricanes, and this significantly affects the residents as well as the properties in the area. Cost of property will go up. The floods in Houston are sure to shake the affordability of property and housing in the region. The rise in price and rent will be because of the shortage of homes in the area. 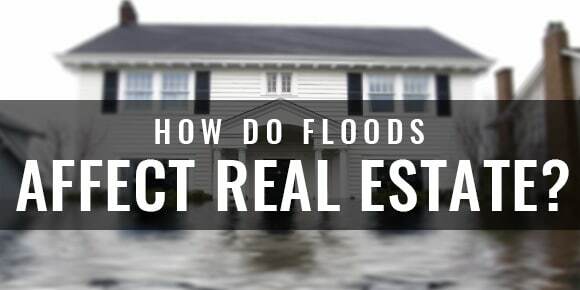 Investors from different states are guaranteed to come in and attempt to buy the damaged houses to repair and rebuild them, and this may act as a stress reliever for many whose homes will be destroyed by the rainwater. The high costs of housing and property may shut out new residents who may want to move into the region. Cost of building materials will rise. The cost of construction materials will go up as well because demand for supplies will come about as the residents proceed to renovate the dilapidated structures. The rise in cost may drive many to take the option of selling their destroyed homes to at least recover some money. The high prices will also trigger the demand for industrial real estate property. The banking sector will thrive in this scenario because most of the residents may choose to take up loans to enable them to purchase building tools and equipment as well as to facilitate in the rebuilding of the homes. The loans taken may also be used to lease out shelter as they wait for their homes to be reconstructed. Construction firms may also explore the loan option to help with the renovation of homes. Those in the hotel industry may come out on top because of the demand for temporary shelter. The need for housing won’t come from the residents only but from emergency professionals, construction experts along with employees of federal agencies who will be in the area assessing the disaster from the floods. We can expect to see, as a result of the flooding, numerous lawsuits against insurance agencies, banks and possibly individuals. The reasons for this is simple: people will want someone to blame and insurance companies will want to save as much money as possible. If you find yourself in need of good legal counsel in Houston, contact Tommy Hastings from the Hastings Law Firm. He has the experience you need to fight for damages and losses. When floods hit a region, it takes years for the real estate market to return to where it was before the heavy rains but for Houston, the surge in prices of property along with construction material is not predicted to last over an extended period. Within a couple of months, the cost of living should have bounced back as it was before the floods. Since the weather pattern is predictable in Houston, many residents and property owners take up insurance covers against adverse weather conditions. Therefore, when they are hit by these extreme weather conditions, the insurance cover will play an important role in helping the victims with the recovery process from the impact of the floods.